I’d made a career of renting motorcycles in my teenage years. When we go down to the beach for spring break and summer vacation I’d make the 60 mile drive from Destin down to Panama City. Once arriving in town I take the test to get my permit and then take my hard-earned cash and plunk it down for an afternoon of fun. In college I was able to score a bike a few times and go cruise the mountains. So alas, some habits die hard. I was out in Colorado for a few days to really see and feel the area. Motorcycling is an important component for me so there is nothing better than renting a bike for a few days and riding the local roads. 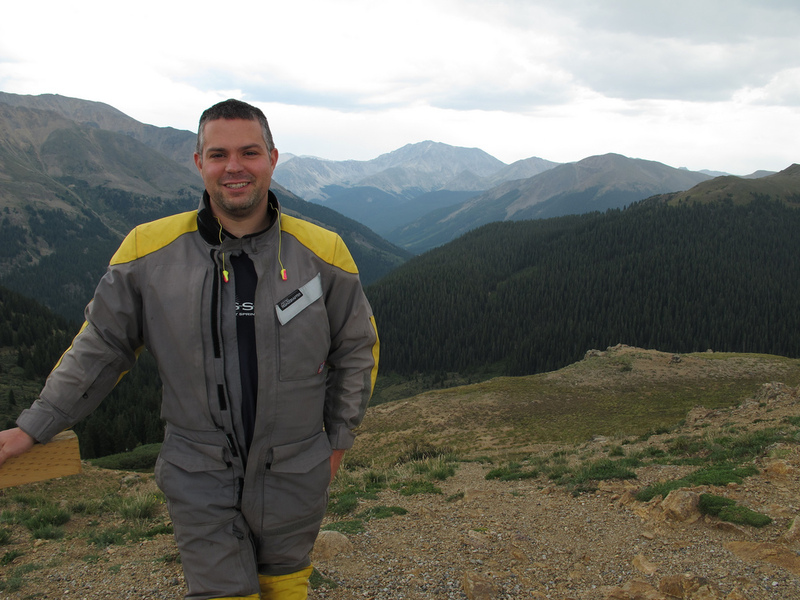 I was able to rent a V-Strom 650 with relative ease given the short leadtime and booking the rental. I got the bike from Western Dual Sport Motorcycle Adventures. Ron, the owner was very cool through the whole process. The bike was great, but I wasn’t that comfortable with Shinko tires and the JC Whitney top case. Other than those two items, the bike performed flawlessly. As I said in another post, the bike was so good on gas really I only had to fill up once for a days ride. I hadn’t done a ton of research about where to go, so my philosophy was to look for green areas on the map was quickly roads. 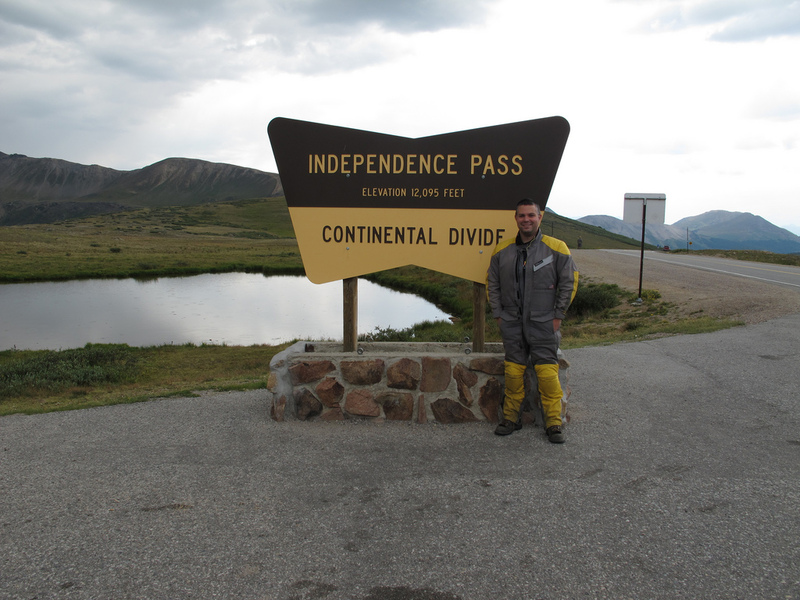 I knew I wanted to see Independence Pass but I had no good information about how to get there. 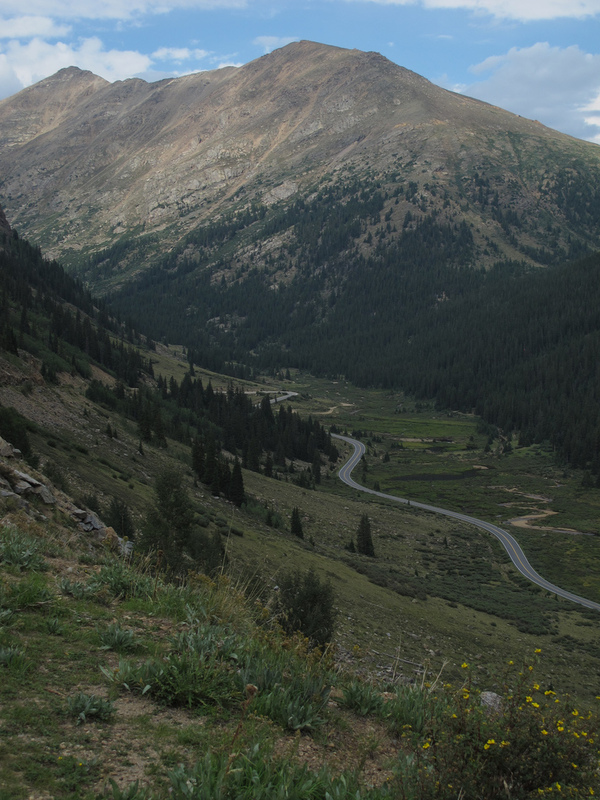 I was staying in Boulder so I took Boulder Canyon up to the Peak to Peak Highway south to Interstate 70. 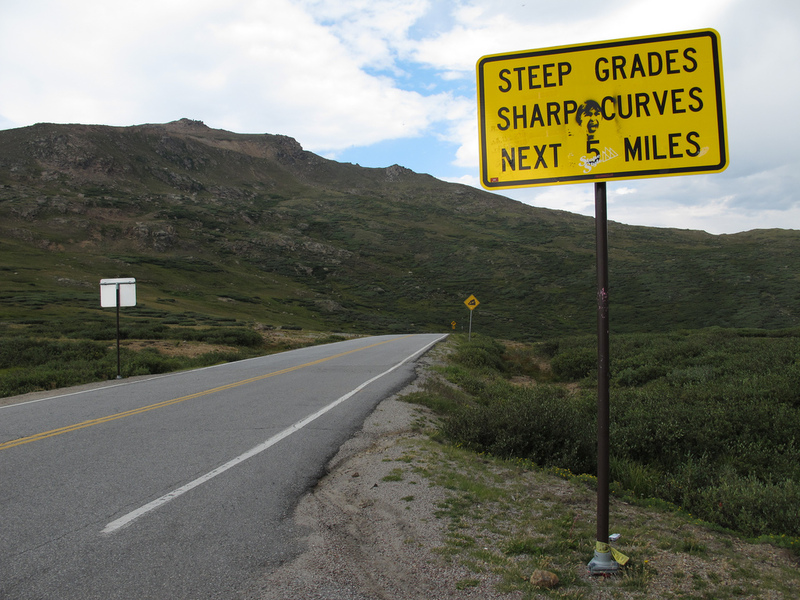 The one thing that was really frustrating about the Peak to Peak Highway is that the speed limits felt very low. Since it was Thursday, there was very little traffic, on the road and the scenery was great. 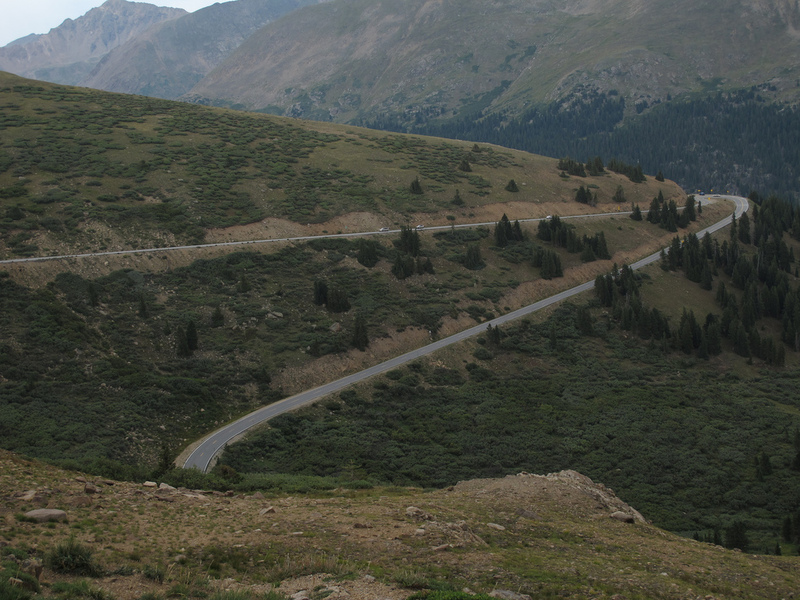 Once I hit Interstate 70 it was a fairly quick ride up to the pass. 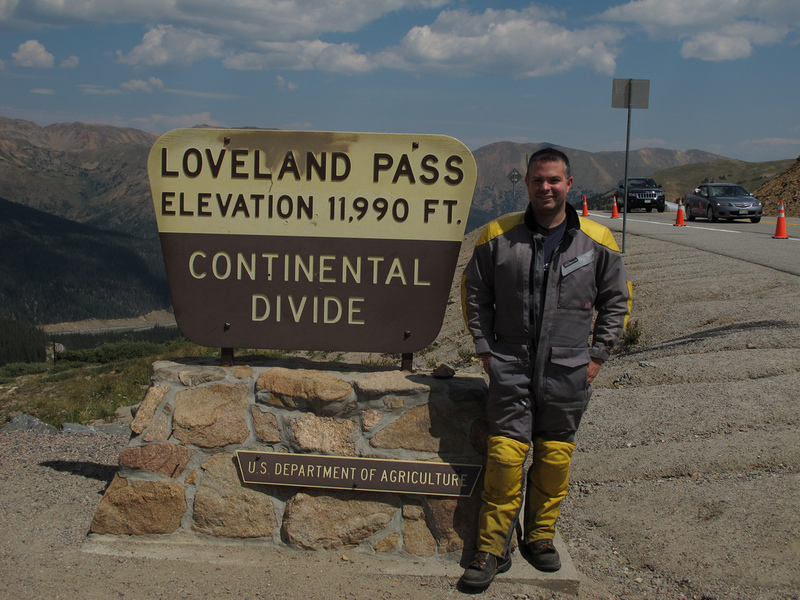 When I wrote across country in 2008 I remember Highway 6 over Loveland Pass was awesome. My memory proves correct. It was great! It was a little hazy, but beautiful up there. A small staircase lead to the top of the viewpoint. It almost appeared to disappear into the sky. 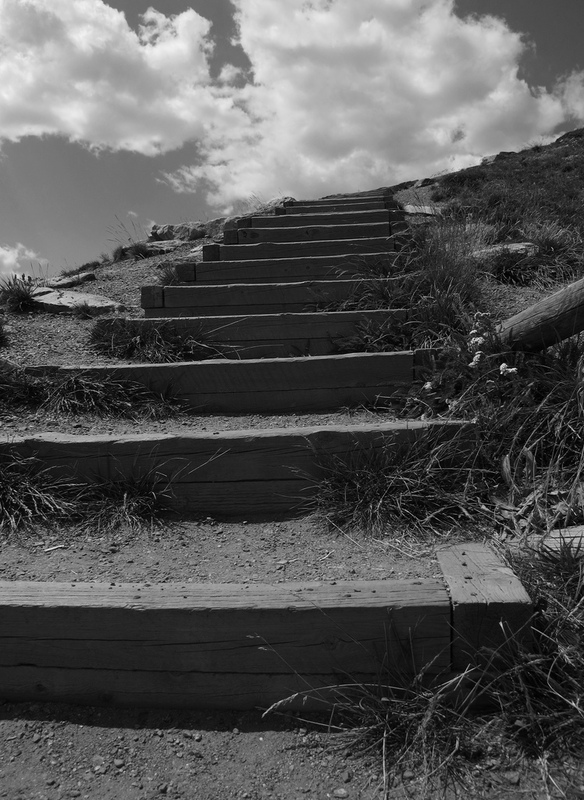 It made me think of “Stairway to Heaven”. On the backside of the pass there were some great turns. I came into one slightly hot and hit the rear brakes a little too hard. The backside of the bike did a bit of a fishtail. My hunch is since the bike is considerably lighter than the one I normally ride the rear brake is a bit more sensitive. 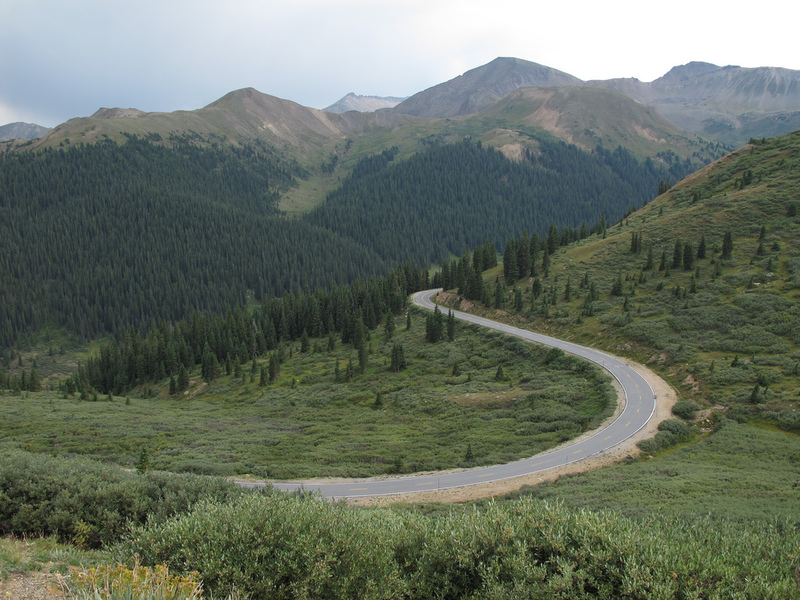 Once back on Interstate 70 it was a quick ride to Colorado 91. One of the things I love about the mountains is seeing the trees coat most of the mountainside and the peaks popping out above the tree line. Colorado 91 was a beautiful ride through the mountains. It seemed like most of the roads here had more of a thoroughfare aspect to them than the ones back home. 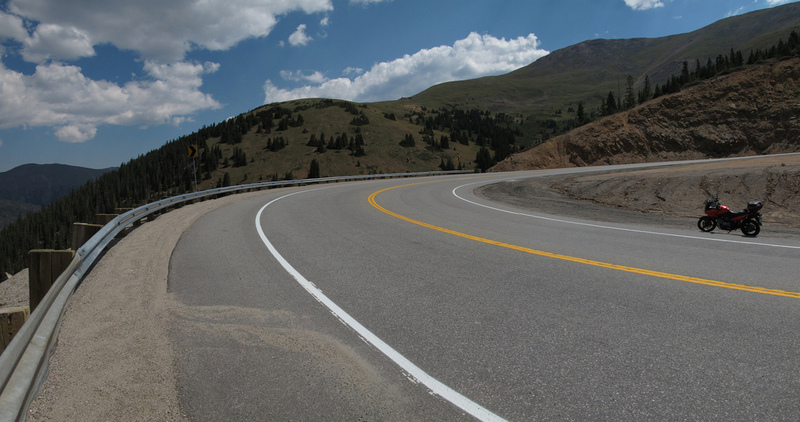 US 50 in California definitely has some twists and turns but its main purpose is to funnel cars up the west side of the Sierras. Colorado 91 felt very much the same way. Once arriving in Leadville it started to rain. 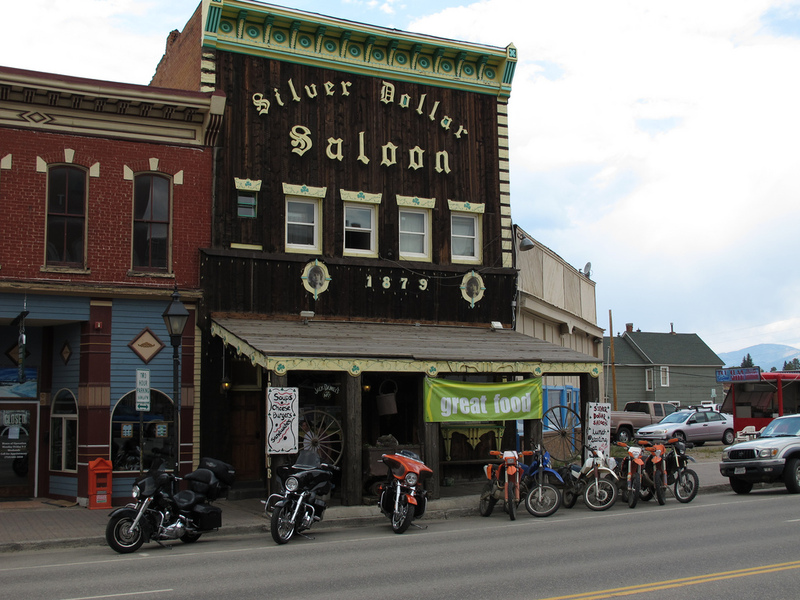 There were definitely more than a few bikes at the Silver Dollar Saloon. Unfortunately, there wasn’t a seat left. Just down the way there is a Mexican restaurant called Casa Blanca. It has the honor of being the highest Mexican restaurant in the United States. I’d also give it the honor of being the worst Mexican restaurant in the United States. Seating C I arrived at 1:30 on a Thursday afternoon. The restaurant was nearly empty. Atmosphere D- I’d describe it as functional at best. Most of the furniture was worn. Wait Staff F It was sit down service but I had to get everything myself. The host even insulted my as my non existent Spanish was off. Food D- The food was bland. Most tacos out here have at least a little bit of flavor. Value D- Price was fair for the amount of food you got given the location. The problem was the food was bad. Overall F I’m just giving an F here. I’d never go back and would advise others to wait for a table at the Silver Dollar Saloon. Just across the street they were prepping for the Leadville 100. It’s a 100 mile mountain bike race through the high Rockies. There is a movie a few years ago called “Race Across The Sky” made about the Leadville 100. Having seen the movie it was great to be in the place where the race starts. 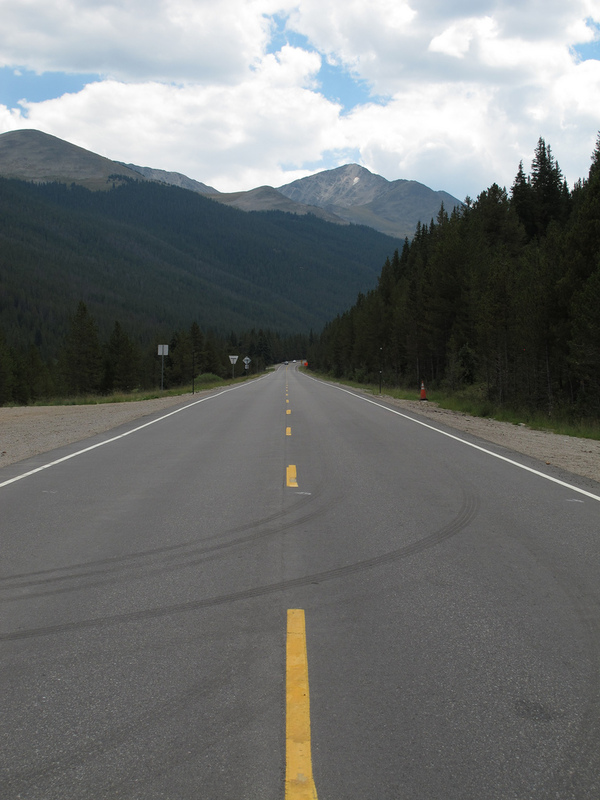 After lunch I continued south on US 24 in search of Colorado 82. The weather was turning from sketchy to more sketchy as the day went on. Colorado 82 was very much the road type I was looking for. It felt like California 108 over Sonora Pass. The turns started gettting good. 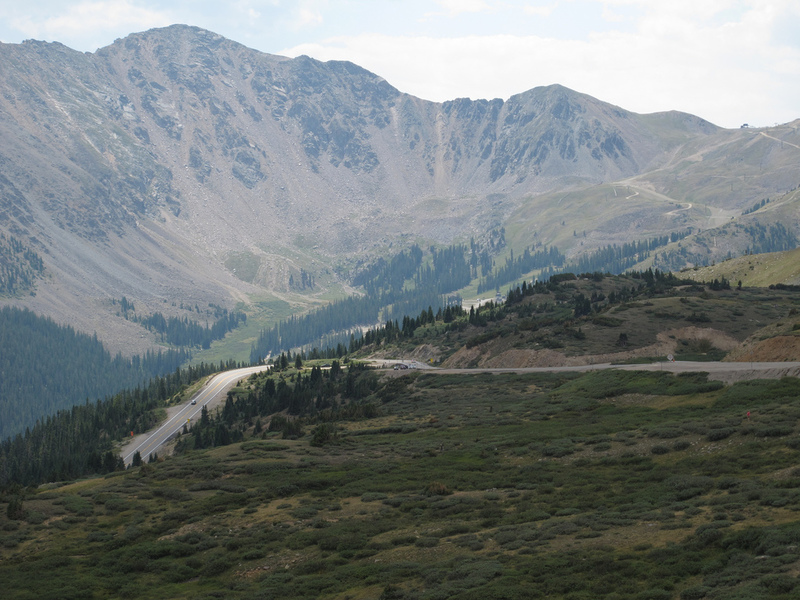 Independence Pass is the highest paved pass in the United States. Once I got to the top of pass it was raining. I been chasing rainstorms pretty much all day and finally lost the battle. The views were awesome though. I met a couple from Minnesota who drove out in the minivan with their two less than interested teenage daughters. The husband was happy to tell me about how he and his college buddy did the drive up here in the 70s in a beat up Volkswagen bus and how motorcycles were in his day. The wifey doesn’t let him ride anymore ;(. 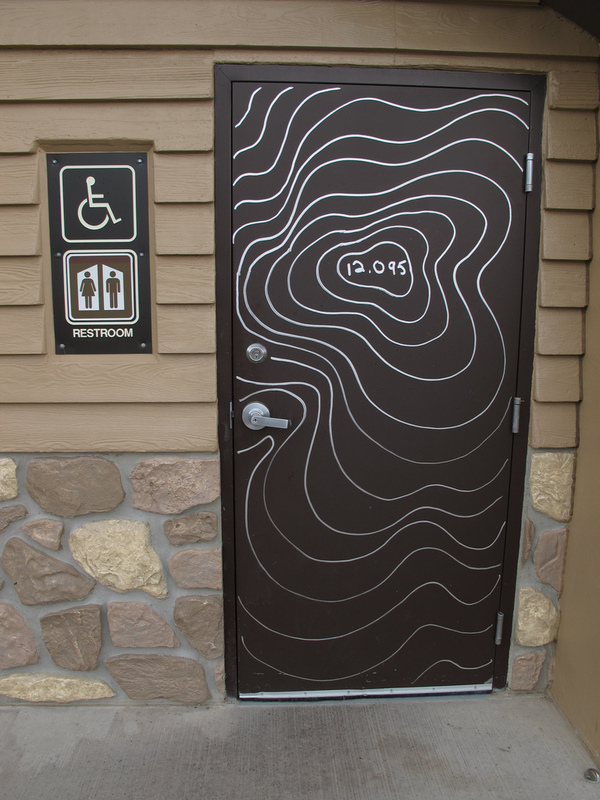 The artwork on the bathroom was really cool though. Heading down the pass things started to dry out a bit when the sun came out. There was fun to be had the next five miles. Colorado puts a lot of money into it’s roads that they do pave. They sure know how to build sweepers. After leaving Leadville it was time to head back to Denver. I was meeting a new friend for dinner and time is running against me. I went back pretty much the way I came. 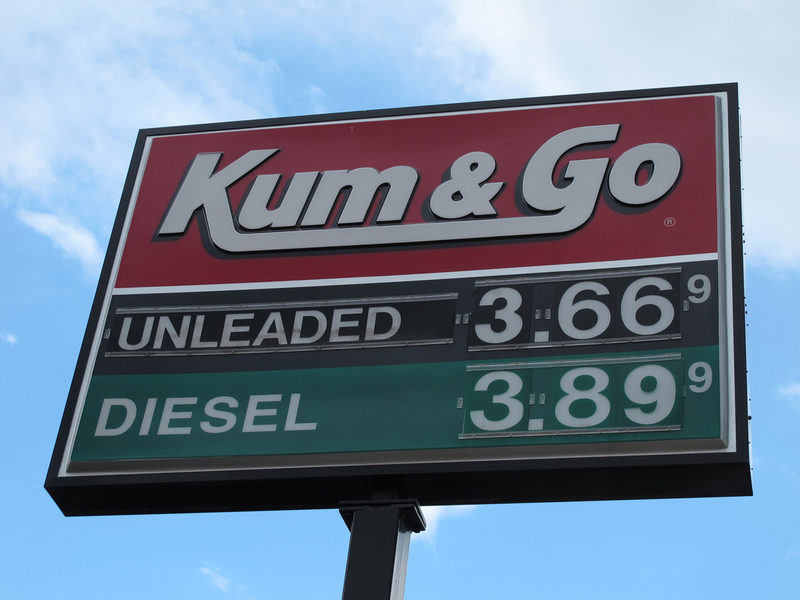 The option to continue west on Colorado 82 would have added another 50 miles. I would’ve liked to have done that section, but you can’t live all adventures in one day. I made my way back to Interstate 70 the way I came. Once I got on the highway, a whole new world would ensue. I was in the left lane rolling at a decent clip but cars kept coming down the mountain at a high rate of speed and I’d have to pull over to let them by. The speed difference between the left and right lanes was at least 30 miles an hour. I decided to stay left and roll down the mountain with the faster traffic. I’ve seen some good speed on Interstate 80 leaving the mountains but this was a whole new level. Had the state patrol been there I’m sure there would have been plenty of money to make. Dinner was at Hamburger Mary’s. Hamburger Mary’s is in the Capitol Hill neighborhood of Denver. I had been there before on my trip out for Boulder Startup Week. The experience was as good now as it was then. Seating A Both times I’ve been here the patio has been full. They got us in right away. Atmosphere A- They have an indoor and outdoor seating area. Both are nice and tastefully done. Wait Staff B The staff was good, but nothing really stuck out as memorable. Food A The food was great. The sweet potato fries were hot and crunchy. The hamburger was prepared right. Value A Denver is more cost effective than San Francisco so I’m giving it an A. Overall A- A sure stop. I’ll be back. At this point it was fairly late in the day so was the Highway ride back to Boulder. 350 miles isn’t bad for a visitor! Love reading your entries, yo. They make me smile and laugh. Thanks John! Much appreciated. Hope things are well in your neck of the woods.